In past years, when Apple didn’t have a new iPhone design, it still had a breakthrough new feature: video recording in 2009, the Siri digital assistant in 2011, a fingerprint scanner in 2013 and 3D Touch in 2015. This year, Apple’s secret weapon isn’t a particular feature, but a clever pricing strategy and myriad options for storage, colours and screen sizes. While no one swooned over product advancements, the moves unveiled on Wednesday will likely pay off financially, highlighting the company’s entrenched status as the top provider of consumer technology in the Western world. “While the Apple event went largely as expected, the new iPhone line-up should provide upside” for unit sales and average selling prices, Gene Munster, a longtime Apple analyst, said. The company showed “mastery of pricing tiers, which will extract more revenue per customer”, he added. The Cupertino, California-based technology giant took the wraps off the iPhone Xs, iPhone Xs Max, and iPhone Xr, three new models based on the iPhone X design and feature set from last year. The iPhone Xs adds a faster processor and improved camera functionality, while the iPhone Xs Max has a much bigger screen. The Xr version brings iPhone X features like the edge-to-edge screen and Face ID to more people with its US$750 price, $250 less than last year’s flagship. Apple is adjusting to a smartphone industry that has stalled at about 1.5 billion devices sold each year. Rather than persuading users to upgrade to the most advanced, expensive phone each year, Apple’s goal these days is to steadily raise average prices, while expanding the total number of active devices to support sales of accessories and digital services like streaming music and video. “Apple’s focus appears to be shifting away from product replacement cycles and more towards profitability and a services narrative, which is a positive in a mature smartphone market,” Amit Daryanani, an analyst at RBC Capital Markets, wrote in a note to investors. Apple shares slipped 1.2% to close at $221.07 on Wednesday. The stock has jumped more than 30% this year, making Apple the first American public company worth $1-trillion. The lower price of the Xr may increase Apple’s installed base of devices, spurring sales of accessories like the Apple Watch and digital services. 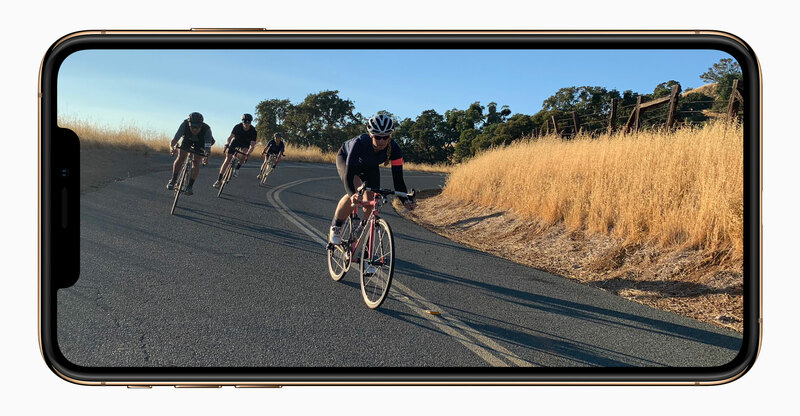 The cheaper and larger-screen models are expected to entice customers with older iPhones to upgrade, helping Apple distribute its latest software features to more users. Piper Jaffray analyst Mike Olson surveyed iPhone owners who didn’t upgrade to last year’s X model, and about 40% of these people said they stuck with existing devices because the iPhone X was too expensive or too small. Now these users have options, Olson wrote on Wednesday in a note. Another way to tackle a slow-growing smartphone market is to raise prices. Apple’s latest iPhone line-up may well pull this off, too. Apple lowered the price of the iPhone 7 to $449, but discontinued the cheapest iPhone SE. And the new iPhone Xs Max costs as much as $1 449. So, the overall price range is $449 to $1 449 now, up from $349 to $1 149 previously.